Ducks, geese, deer…. These are just a few of Mother Nature’s pets that can be found on Nester Tutkaluk’s property northeast of Oakburn, Manitoba. The property, which is representative of the area, is an excellent habitat for many different species and is especially attractive to ducks. 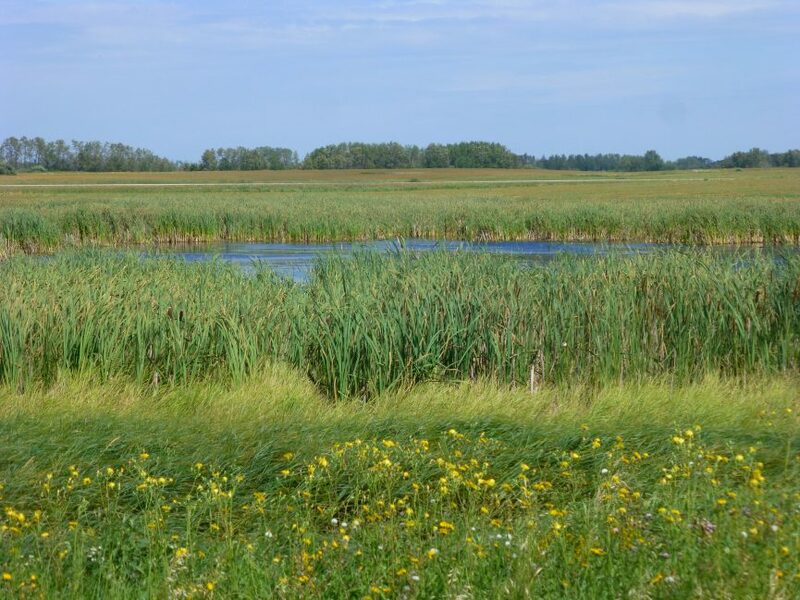 As such, it is a targeted wetland region of Manitoba that is ideal for preservation. Roy Bullion, Habitat Conservation Specialist with the Manitoba Habitat Heritage Corporation (MHHC), said that Nester’s property is fairly typical. “In this area you get 100 broken acres of land, so the best is used for agricultural production. Then you’re left with about 50 acres of sloughs, small potholes and small drainage runs,” said Bullion. Bullion recently developed a perpetual conservation agreement with Tutkaluk on a half section of his land in relation to the North American Wetland Conservation Act (NAWCA), an organization that supports the preservation of wetland for waterfowl by matching funds. Tutkaluk has lived on the property, which is just a few miles south of Riding Mountain National Park his entire life. As a retired cattle and grain farmer, he’s been making plans on what to do with all of his land and had been contemplating enrolling in a program with the MHHC for a number of years. “A ravine runs right through here, it’s a natural run with a lot of sloughs attached to it, which is good for wildlife,” said Tutkaluk. As with most conservation agreements, the landowners are still able to use the land for haying, grazing and recreation, although it must be kept in its natural state and can’t be broken, burned or drained. Tutkaluk has seen producers try to change the natural state of the land and says that it doesn’t often prove to be very successful. “People are trying to grab as much land as possible. Maybe in the dry years they gained some good farm land, but in the last few years the weather seems to be changing quite a bit and now all you see is bull rushes where it was broken. Most often it goes back to its own original state; what was a slough, will always be a slough,” said Tutkaluk.